The rest of the case broke really well for Murray and he had an ear-to-ear grin throughout the process. And yes, he did pull a Michael Jordan autograph card. All the Upper Deck staff received hugs for that. A dream come true! 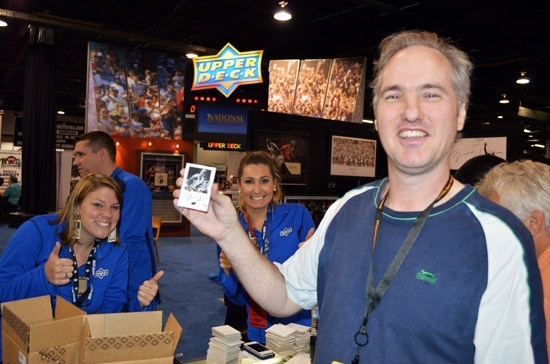 Murray pulled his Upper Deck Michael Jordan autograph card! 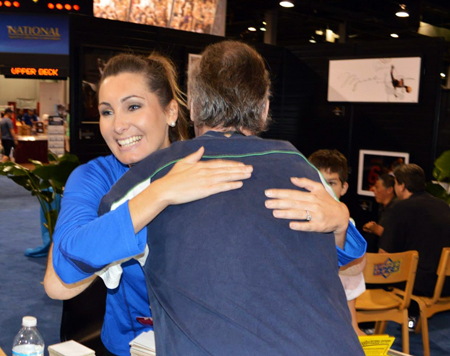 Murray hugged the team after pulling that awesome Michael Jordan autograph card! 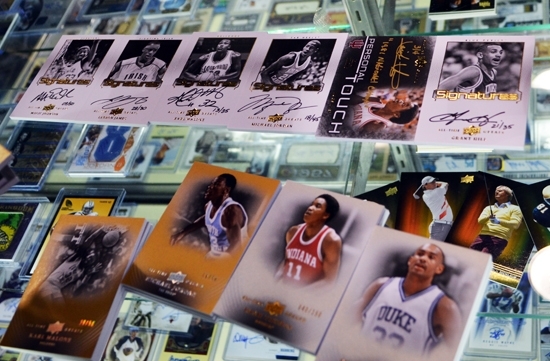 Murray had a great case of 2013 Upper Deck All-Time Greats where he pulled not only a Michael Jordan autograph card, but autograph cards of superstar players like Lebron James, Karl Malone, Magic Johnson, Isiah Thomas and Grant Hill! Listen to Murray after the exciting moment where he scratched off that long-time goal from his bucket list. We were so moved by Murray’s story that we gave him a Michael Jordan blow-up card we had on display for him to remember his experience by. He was overjoyed when we shared this with him and he gave out another round of hugs to the Upper Deck team. 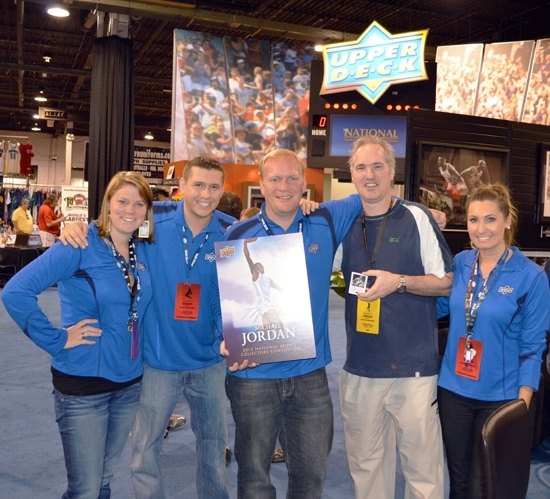 The Upper Deck team loved seeing Murray live his dream of pulling a Jordan autograph card! Have you pulled your Michael Jordan autograph card yet? If not, 2013 Upper Deck All-Time Greats Basketball may be your perfect opportunity to catch a shark and add a Michael Jordan autograph card to your collection!